Starbucks Credit Card Worth It? 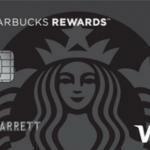 Starbucks Credit Card is very profitable if you use it only for Starbucks. 3x star points on purchases from Starbucks. 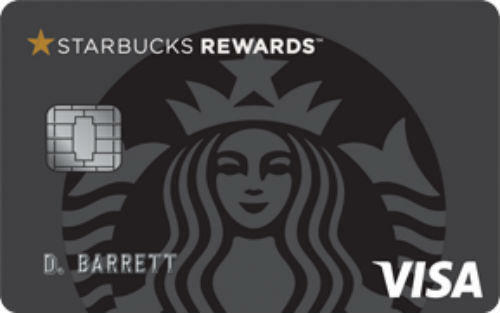 We strongly recommend you to use this card for only Starbucks, otherwise the card will not be beneficial for you. High interest rates and high fees. 0.25x star points for other purchases is very bad. If you are visiting Starbucks regularly, this card can be a good option for you. However we should admit that we are not pleased with the rewards rate of Starbucks Credit Card. Especially 1 star point per $4 purchase outside of Starbucks stores doesn’t look like a fair rate at all. However points that you will earn from stores are not bad. If you get a membership from Starbucks Rewards™ Member and if you also have this card, you gain 3 star points per $1 purchases. You also earn an extra food or drink when you gain 125 star points as a Gold Member. I am also visiting Starbucks regularly and I generally drink White Chocolate Mocha at Venti size. It costs me $4.75. (May be this price can change by time or location). So with a White Chocolate Mocha, I earn 14.25 points. To get a free White chocolate mocha with my rewards points at Venti size, I need to collect 475 star points. It means I need to order 34 WCM at venti size which will cost me 161,50 USD. 34 White Chocolate Mocha is almost equal my monthly purchases from Starbucks stores. With maximum purchase APR, I will need to pay $3.35 interest for all purchases from store. Annual fee of the card is $49, it means it will cost you $4,10 monthly. So I have a gold membership and I need to order 9 White Chocolate Mocha to gather 125 star points. It means $42,75. So it is more than 10% savings. It depends on what you love to drink though. If you drink Venti size Freshly Brewed Coffee with your rewards points, so the saving percentage is going to be about 5%. I can use this opportunity 3 times in a month. Please note that we didn’t add bonuses to our calculation. This is one of those rare results which consumer can win against the credit company. Should use this card only Starbucks, otherwise Starbucks Credit Card will cause a serious loss to you. Shouldn’t try gather rewards points out of Starbucks stores. Shouldn’t use cash advance, balance transfers since fees and interest rates very high. Should get membership from Starbucks if you don’t have already. If you will do one of those options that we provided above, a low APR credit card can be more profitable for you than Starbucks Credit Card. You can see rates & fees, editor scores of Starbucks Credit Card below. 0.25x star points on all other purchases. 4500 star point bonus when you spend $500 in 3 months from the account opening. 250 star points when you make the first purchase. You can find some user reviews of Starbucks Credit Card below.